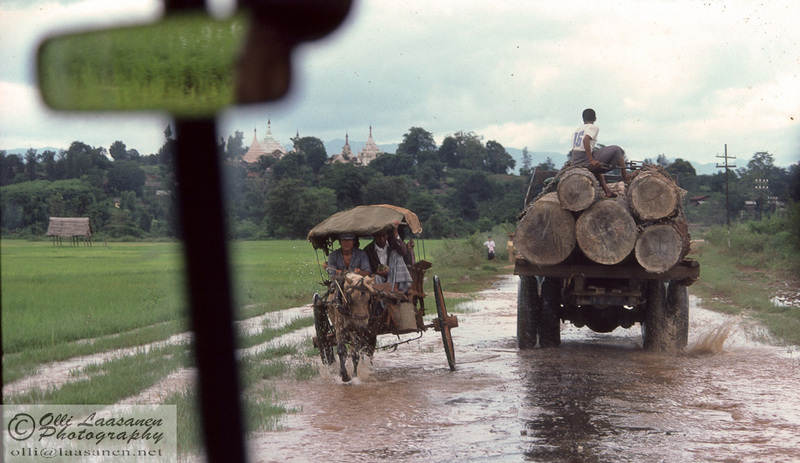 I’m again returning back to my Burma photos and memories from year 1987 (have patience ;)), this time taking a look at the road transportations. 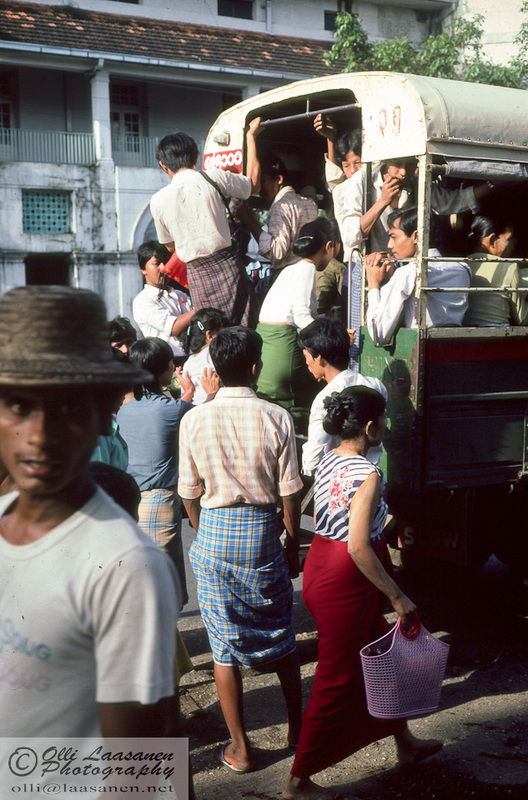 I have not visited Burma since late 1980’s, but these last 25 years have certainly changed the car business there. 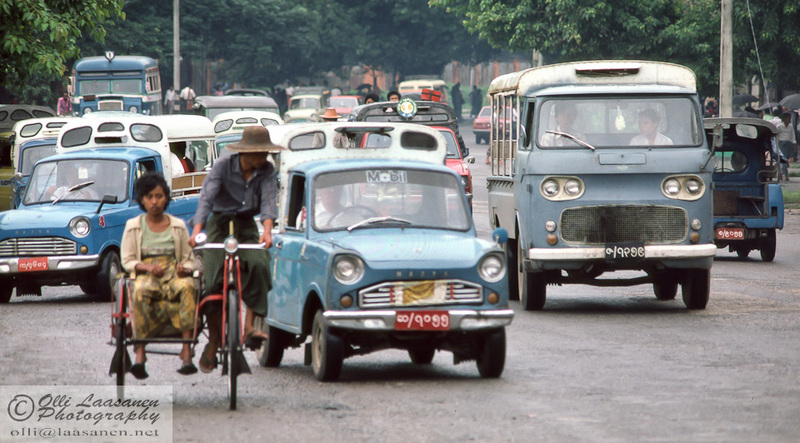 Last year Myanmar officials started a campaign for swapping old cars to new ones, which is good for the road safety and environment, but has had some adverse speculative business impact. 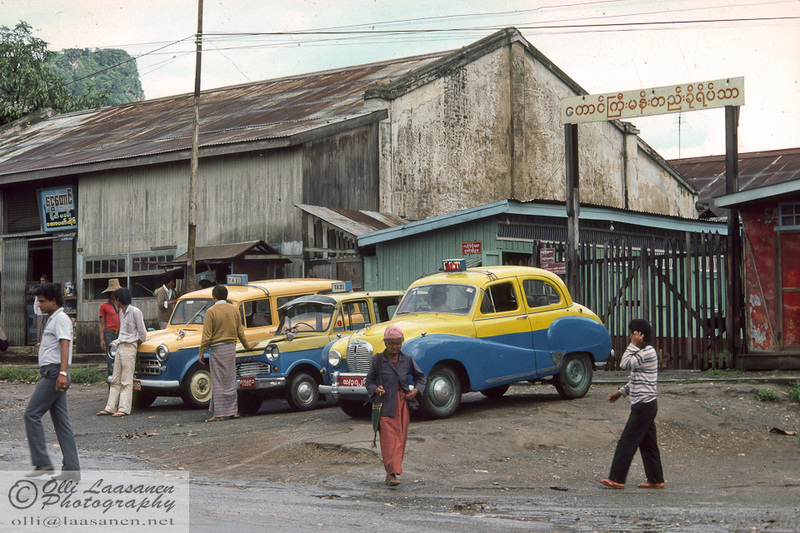 With the increasing number of cars, will Yangon (Rangoon) soon have a similar traffic chaos as e.g. New Delhi or Bangkok? 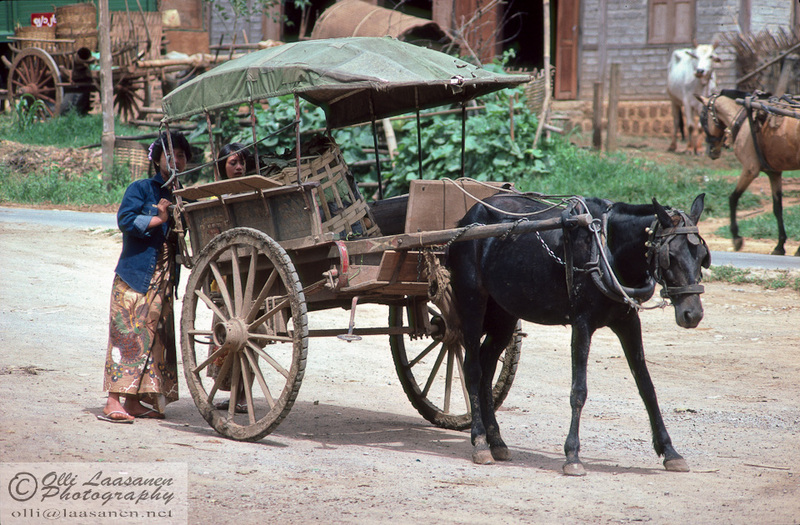 A horse or mule with carriages were a common sight in the smaller cities. The roads up to the hills can be very steep. 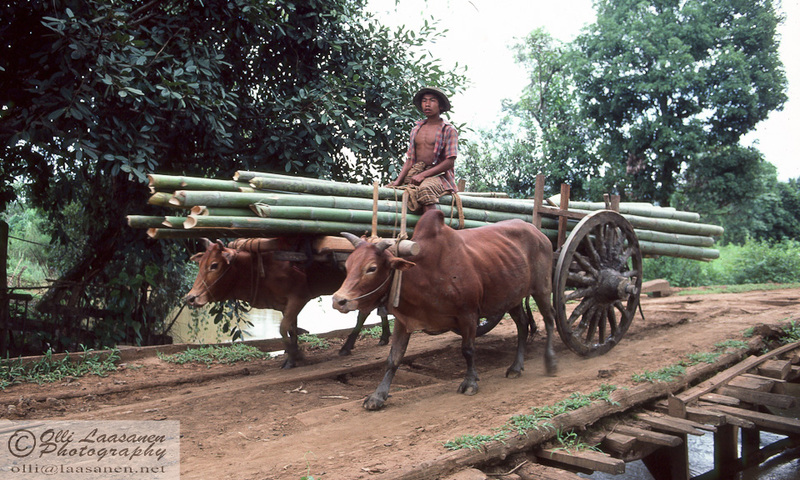 Burma has been and probably still is one of the main exporters of tropical hard wood. The trucks were working hard when carrying the heavy loads. 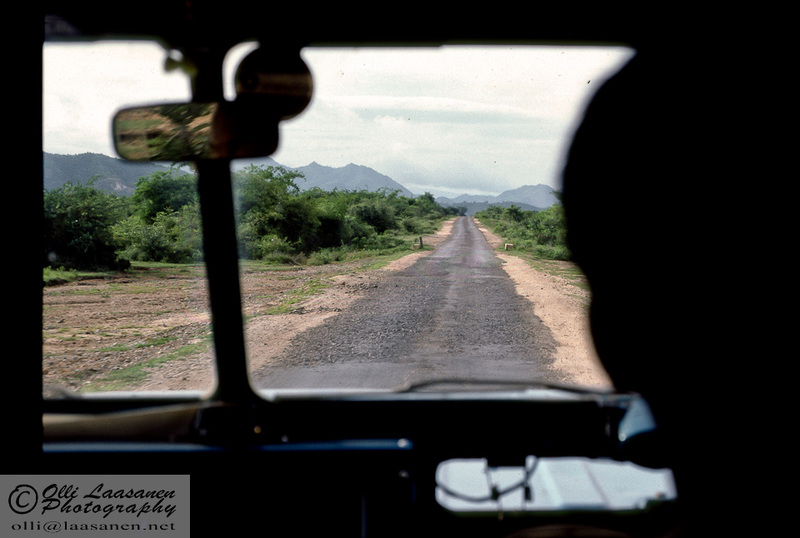 The roads were sometimes flooded during the rainy season. 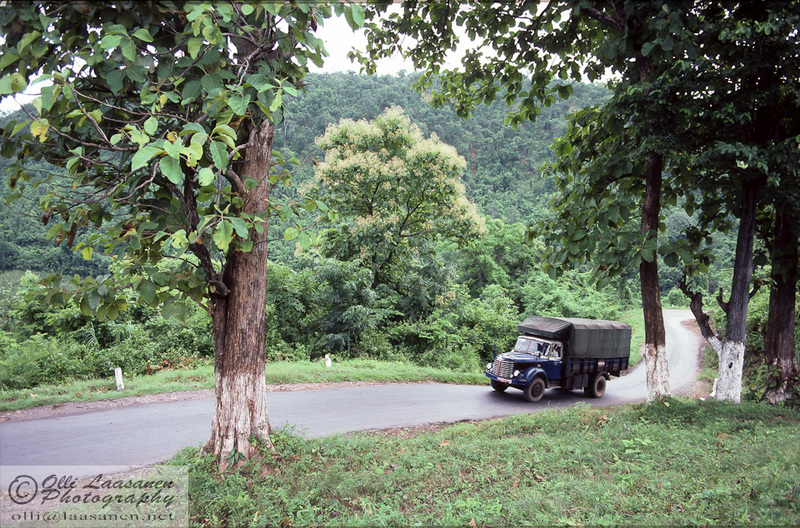 A nice road ahead towards the eastern mountains close to the Thai border. All the free space can and should be used for seating. Transportation to the local market. 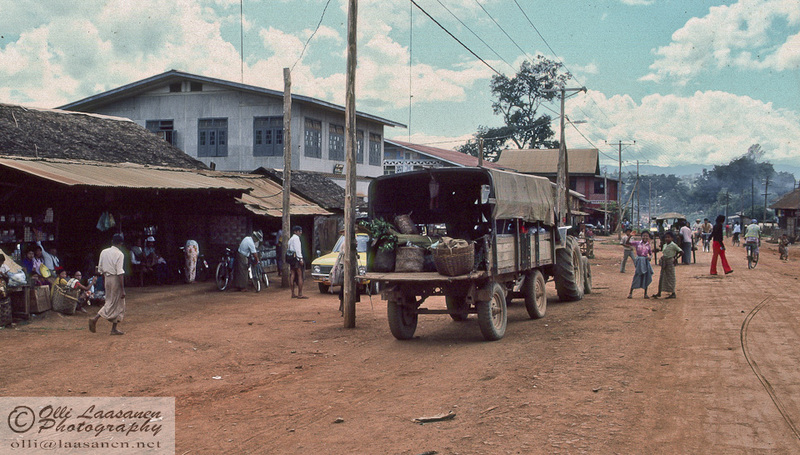 A taxi station at Taunggyi. These cars were imported from India, I believe. 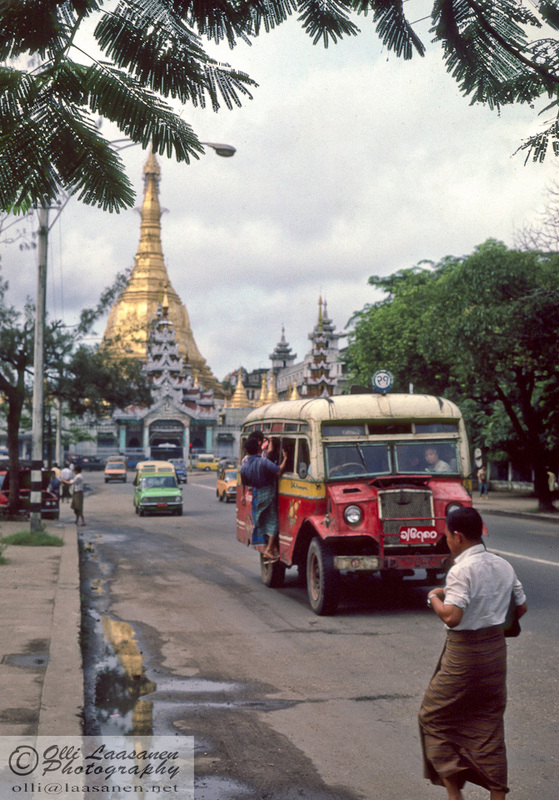 A bus in Rangoon. Shwedagon pagoda at the back. Mini buses were sometimes very packed. 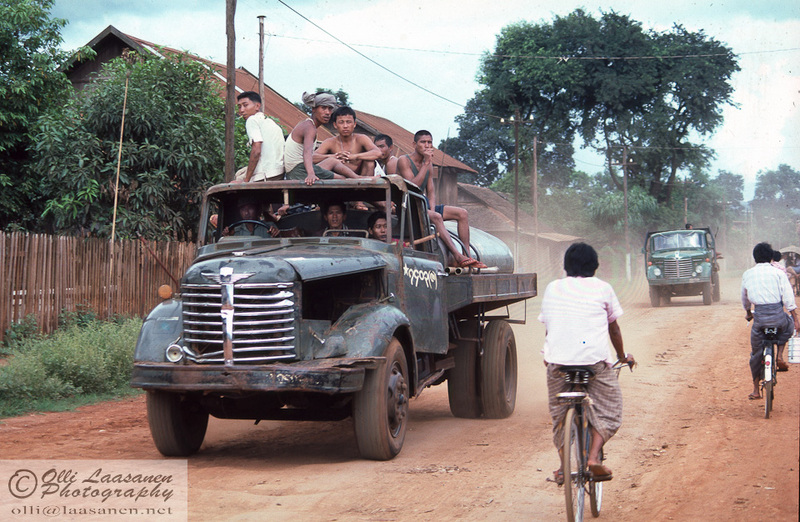 Gallery | This entry was posted in Burma (Myanmar), Photo, photography, Travel, Valokuvaus and tagged 1987, car, old cars, transportation. Bookmark the permalink. Happy to do that! I also would like to go back one day to see how much the country has changed.